April 2019 – Dear Friends, Welcome to Multibagger Securities Research & Advisory Pvt ltd (SEBI Registered Investment Advisor – Registration No. INA100007736)…..Above Screenshot is of Multibagger Stock Recommendation given by me….. Above stock Multiplied 41 times (after taking 5:1 Split & 1:10 Bonus into factor) in less than 5 years and this is just 1 out of my 8 Mutibagger Stock Recommendations….. See India’s Best Small Cap Multibagger Stock Recommendations/Advice at the end of this page…. For Premium Membership for Multibagger Recommendations, Pls see ‘Contact Us‘ page of this website…. And to see my complete Past Performance, pls visit ‘Past Performance‘ page of this website. There is a saying in stock markets that if you want to make your broker rich, go for Intraday Trading/Short Term Investing… and if you want to make YOURSELF rich, go for long term investing in Quality Multibagger stocks…. If you came into Stock Markets to make wealth, it can be made only through long term Value Investing/Fundamental investing in Small Cap Stocks & Mid Cap Stocks….. Intraday traders/Short Term investors are like those who are picking pennies in front of a Road-Roller….. They will make few Rupees here and there for some time…. And then one day Road-Roller will come and Steamroll all of them in one go. All the legendary investors of the world like Warren Buffet, George Soros, Peter Lynch, Benjamin Graham etc are/were Value Investors/Fundamental Investors….You will not find a Intraday trader in the rich investors list… Warren Buffet bought Coca Cola thirty years back and he is still holding it !!…. 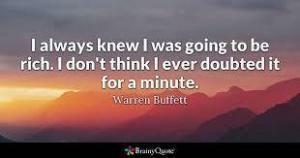 Even Warren Buffett can’t predict prices in next 3 to 6 months….But new investors can not benefit by investing in these Buffett multibagger stocks now because now these stocks have multiplied hundreds of time…. If new investors want to make money, they will have to find new similar multibagger stocks which are at early stage of rise…. And this site is all about finding those stocks. (1) One way to end up with $1 million is to start with $2 million and use technical analysis…..!! !… So dont focus too much on Technical Analysis….Fundamental analysis is the main science in stock markets to make money. …If one can make money by just following charts then the wealthiest people on this earth would have been Geometricians/chartists……To give you an example, on April 02, 2014 I gave buy call at fundamental pick – Chaman Lal Setia Exports (BSE 530307) when it was trading at 5.5 (considering split of 5:1 and Bonus after my call) … Now you look at the charts of Chaman Lal Setia Exports as on April 02,2014…. No Technical indicators at that time was saying that it will shoot up… But defying all technical signals, the stock was locked at Continuous Upper Circuit and Multiplied 41 times in less than 4 years. (2) Always invest according to FAIR VALUE of a share… I observed that most investors invest according to irrelevant criteria like `up from 52 week low`, `down from 52 week high`, `Technical Support and resistence` etc etc…. These all things are useless… Always find out what is FAIR VALUE of a share….and then if the share is trading at less than its FAIR VALUE,, then buy it… and if the share is trading above its FAIR VALUE,, then sell it… I see that if a share run up 30-40% in few day, then investors hesitate to buy it and wait for its coming down to invest it as if share price will come down just for that investor so that he can invest in….!!.. Instead the investors should just compare the CMP with its FAIR VALUE and then invest accordingly. (4) Do not fall in love with IPOs….. IPOs are generally overpriced. (6) Dont fall in love with only Blue Chip Companies if you came to stock markets to make wealth… Wealth is made in small cap stocks and mid caps stocks… When Rakesh Jhunjhunwala bought Titan, it was a small cap stock… Reliance is trading at 1,000 today… Do you think Reliance can become 5,000 in 2 years ??.. No way….. But QUALITY mid cap shares can multiply 10 or 20 times in few years…. For example, HDFC Bank took 15 years (2003 to 2018) to multiply 40 times (rs 50 to rs 2,000) but my stock Chaman Lal Setia took just 4 years (2014 to 2018) to multiply 40 times (rs 5 to rs 200)…..But I observed that investors track only blue chip companies and waste their Time and Money… Find out strong small cap and mid cap stocks and then hold them tight for years… If you have come to Stock markets, then you came for Multiply your money and not for 10-20% returns… If you want 10-20% returns, then there are other asset class like Bank FD etc. (7) Another thing I observed is that when an investor buys a stock, he starts tracking the price immediately and expects the price to rise immediately as if the stock was waiting for his entry to rise….. Investors should concentrate on business performance instead of daily price movement….. If business does well, price will eventually follow. (8) Also I observed that when a retail investor buys a stock and price rises even 10-15%, he sells the shares quickly and books profit… This mindset never allows them to make big money… Warren Buffet bought Coca-cola in previous century and he is still holding it… Had Buffett sold Coca-cola after just 20-30% profits, he would have been still a small investor…. Secret of Fundamental investing is that if you found a real gem then buy it and leave it for many years..do not see its price daily… because if you will track its price daily then there will be a temptation to do something. (10) Don’t invest in Mutual Funds and Real Estate if you are looking for Multibagger returns….Mutual Funds have no history of giving Multibagger returns in 4 years…..After factoring in high inflation in India, real returns by Mutual funds are just 5% – 10% per year…. Future of Real Estate also does not look great after Demonetisation…. Real estate boom was driven by Black Money in the past…. Real Estate will not give any returns in next 5-10 years…. I will strongly suggest you to sell your real estate property which you bought for investment and put that money in Quality Small Caps in stock market…..Commodity and Forex trading I consider as gamble instead of investing…..Biggest wealth in India in the next 5 years (2019-2023) will be made through Quality Long Term Equity Investments….. If you want to do SIP, then also you can do monthly SIP in the same quality small cap stocks for many years….From the point of view of quality of life also, Investing is best career because here your money works and you remain free…. What is the use of making big money/salary if you are bound to spend your day on a chair from 9 am to 6 pm ?… Only money is not important… You should have time also to enjoy that money…. And for how long you will keep on working for your boss to make him rich ?… Work for yourself.. Invest in Stock Market. (11) You can make future of your children also through long term investing…. Invest 10-20 lacs in quality stocks for your little children…. Or if you do not have that much capital then you can do monthly SIP also in few strong quality small or mid cap stocks….That investment will take care of their education and marriage expenditure…. Sensex can touch 50,000 by 2020 and by 2026 Sensex can hit 1,00,000 (Yes, 1 Lac)…. In October 2013 when Sensex was at 19,000, I declared that Sensex will touch 30,ooo in 2 years (See ‘Previous calls at discussion Board’ Page)…. And Sensex did hit 30,000 in next 2 years…. As on January 2019, Sensex is trading at 35000 …. And there are still many small caps which can multiply 10-20 times by 2022…. Fundamental Stocks have very less correlation with Sensex/Nifty, which means that Fundamental stocks can multiply in long term even if Sensex doesn’t go up…. Because in Long term, Share prices are decided by earnings of a company and not by Sensex/Nifty….. If Earnings of a company keeps increasing at fast pace, share price will have to go up irrespective of levels of Sensex/Nifty…..In a bull market, retail investors hesitate to buy after a significant run up….And then they wait for a correction to enter (which never comes ! )….Remember, Stocks are never too high to buy if general conditions are favourable. (12) In Quality stocks, Averaging should always be done on downside instead of averaging on upside…. But please remember that Quality stocks are very less in stock market… and a stock does not become quality stock just because it is being recommended on TV or internet, or just because management is coming on TV and showing good order book/projections, or just because your broker is suggesting you to buy it, or just because company is posting good profits, or just because positive news is being flashed in the media about the company …. Never average JUST BECAUSE stock price has fallen because averaging in a bad company can cost you heavily…. It takes many years of experience and intelligence to identify quality stocks. (14) Never invest your money based on free tips/SMS or (free/cheap trial offered by some websites) ….. If you will invest in free/cheap tips, You will soon be freed from your money… Remember, you get what you pay for…. By investing in Free/cheap tips, you save advisory fees but you put all your portfolio at risk….You save some money but you lose peaceful sleep…. I will tell you how this trap of ‘Free/cheap’ trial works….. I have heard that some websites offer free trials to investors and then pump the stock price up 10-15% in next few days…. Then they ask those same investors to subscribe for their paid services…. Investors subscribe for their paid services because previous free trial gave them some returns ….. And then those paid stocks fall heavily…. SEBI is also planning to ban these ‘Free Trial’ offers because perhaps SEBI is also aware of wrongdoing of some websites…..So ‘Free/cheap’ tips can cost you heavily in stock market…..Never invest your money based on tip providers calling you on your mobile or based on SMS received on your mobile…. And there are websites which forces you to enter your email and mobile number and then they keep on sending you stories at emails or keep on calling you on your mobile to subscribe….These are all tricks to entice investors…. Also, never invest your money based on your stock broker’s advice. (15) Never ever do Intraday Trading or Futures & Options trading…. You can never make money consistently in trading… Eventually you will lose all your money in intraday/short term trading… And even if due to some miracle you made money in intraday/short term trading, you will have to pay fees to your intraday tips provider regularly, brokerage to your broker and 15% tax to government ! !… In long term Investing, you don’t need to pay for tips regularly, some brokerage house like Zerodha takes zero brokerage on stocks bought for long term, and govt takes less tax on stocks bought for long term !! (16) Last but not the least, I observed that investors always hesitate to sell their holding when they are in loss in that particular stock…. Investors should understand that Fair value of a stock keep changing with the change in company fundamentals and external economic environment….. Markets has nothing to do with ‘your buying price’ of a stock…. A stock will not recover from low level just because you are in loss !!…. There are investors who bought Unitech at 500 Rs and did not sell at 400 ‘just because they were in loss’…. Those investors are biting the dust now because Unitech is at 7 Rs now…. So if after some time of buying a stock on your own research you realize that you made a mistake, it is better to sell and cut your losses….. That loss will be recovered in other Quality stocks suggested by experts. Above huge returns are in addition to big dividends paid by above companies. Sir u have given almost all imp tips to be in market, it is valueadd advice.Thanks for it. Pls suggest few mid cap stocks for future so that my rest of life may ne secured from financial point of view. Thank you sir for the very useful knowledge.I am a 44 year old teacher and only a few years of experience with share market.Kindly help me with your contact details. Congratulations for sharing your experiences in the stock market. I have gone through your views and gathered knowledge of stocks market particularly in investing points of view. Please forward me two three small and midcaps script for investing. I am 61 years old and retired person and no other income except this. Dear Manish Ji, It's awesome being associated with you. I had experienced many bull and bear cycles in stock market but most of the time my portfolio used to be in "RED" and eventually i had lost all my hope from the stock market. I took advice from various advisors in this field but nobody made me in profits. However, after interacting with you, i came to know that there exists honest and genuine advisor also in this field. Your picks are ultimately and beat the market with a great margin. I would like to thank you for providing me financial stability through your multibagger picks and regenerating hopes in the stock market. May god bless you...!!! Dear Manish ji, after reading about all your experience above , i came to know the mistakes i was doing while investing in stocks , thanking you very much for sharing your experience with us. Requesting you to recommend me some quality mid-cap and small-cap stocks, for next 4-5 yrs horizon. all time great adviser Mr. Manish Goyal, i made huge profit because your deep analysis and exact stock advise .thanks a alot for your tips and congratulation for getting sebi registration sir . Exelent information, but Mr.Manish sir pls also share us some info on intra day trading also, looking forward for ur valuable suggestions. Mr Manish Goyal is a very good advisor.I have a faith and confidence that if anyone want to make wealth from equity market, then take the advise from MG and take a nice sleep. Please keep updating these posts and sharing multibaggers. You have been gifted by God. Very good Information given by you was eyeopener, now I am at 50 year old and had diabetes so henseforth not able to continue my service. I want to invest my some funds in long term as well as some amounts in short terms which will used my monthly exp. Very gud stock selection n very humble guy n responsive..
After getting huge loss by free sites, I got the membership of this site in April 18 & I am confident that Manish ji great RESEARCH & EXPERIENCE in stock market will make the great return. Great advice for all investors. good calls only for patience investors !! I got great lesson from you about stock market. Initially i couldn't believe the performance of his calls. I had so much of conversation with him before considering him as an advisor. He is very humble and honest and practical guy unlike other advisors who promise hefty reward in a single month. Finally after drilling him with my questions , i am taking his service now. I just started, i cannot give any performance of his calls now. But the way he analyse fundamentals and technicals to choose a multibagger is awsome. Very Important and useful tips for beginners. I came to know about Mr Goyal after going through the net. Called and spoke to him and he explained his detailed approach and was very patient to answer all my queries. I subscribed and would wait patiently for his stocks to perform. Highly recommended for long term investors with a lot of patience. I bought Mold Tek plastics long back and still hve some shares in physical form. Is it the same stock rechristened as Mold Tek packaging? If so, can I transfer them in digital form now? I could not find Mold Tek Plastics later on. What is the procedure to get your recommendations regularly or ask questions/ advice on some small caps I am holding? Have been tracking Mr.Manish's picks since four years or so ... you need to have lot of patience and hold those stocks for longterm , no need to track those shares on daily basis , just buy and forget for couple of years and allow those stocks to grow many a folds ..
Sir I read your article today, & inspire to invest small cap stock. I am very small investor pl.guide me to creat wealth for future . Salute. I 100pc agree with your views and research techniques. You are great Sir. Hats off to you Manish sir! Amazing experience to go through this site. Will contact you shortly. MUltibaggar recommendations also prove your past. BLessings. Highly reliable service in stock market world. If you are a long term investor... You are at right place.... if u r not a long term investor the you should be..... Please go ahead with CA Manish Goyal recommendations without any doubt in your mind..
manish is thoughtful investor and analyst. His past record and site are testimony to the same. Money would be made by following him in long run. I am satisfied with Manish sir service. The best part is that he follows the theme of concentrated portfolio ( suppose you have 50k or 1 lakh , the whole capital you can deploye it into a single stock with full confidence). you can enjoy your portfolio growing with minimum three times return at each two years plus horizon ( his proven track record shows his recommendation went minimum 4 to 5 times in 2 to 3 years time horizon). Now I dream of creating wealth with Manish sir in 10 years.MAY GOD BLESS YOU SIR TO FULFILL OUR DREAMS. This is best place to get the investment idea in stock markets. His recommendations is giving multiple return and if you follow his guidance you will become richer. Best advises with simple explanation. Worth following. Honest advice..awesome scripts..believable..I found my Jeweler!! A humble person with great charisma...words are less to describe you Manish ji!! I believe in you and invest with your recommendations.!! Thanks !! Highly reliable service and awesome stock selection. One of the safest way to invest in stocks. Thanks to manish Ji, as name COOL COOL return also great hoping.I have lost almost all money before join to him.I thought why i don't meet him before.Good JOB Sir.Your provide stocks now started rocking.Thank you. CA Goyal has helped a lot of people make money in the stock market. He has yet again identified multibaggers for us. Best wishes & all the best! I am a big fan of Manish ji..His recommendations have been spot on!! Manish goyal is well experienced person in stock market and have capability to give good advise..